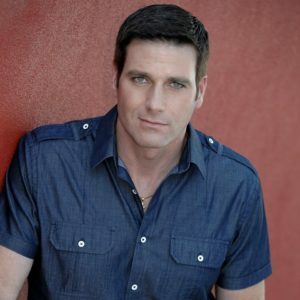 If you’ve never seen Homicide Hunter: Lt. Joe Kenda on the Investigation Discovery channel, you’re missing out on the work of up-state NY actor Carl Marino. For six seasons, Carl has played Joe Kenda, an extremely successful real-life Homicide Detective for the Colorado Springs Police Department. 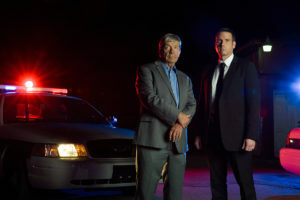 The show explores Kenda’s old cases while Carl reenacts his investigation. The real Kenda narrates his thought process along the way. Carl wants people to know he didn’t set out to be a star. In fact he never acted, not even in high school in Hornell where he grew up, although he did some lighting work in the theatre. After he graduated, he attended the United States Military Academy at West Point for 2 years. 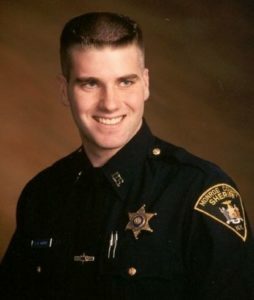 Following West Point, and while studying Criminal Justice at the Rochester Institute of Technology, Carl became a Deputy Sheriff in New York. He served for almost 17 years on the force, most of the time at the Monroe County Jail. In 2009, Carl moved to San Francisco to be closer to some of his family that had moved there years before. Arriving in California, he signed with a modeling agency, having done some modeling on the side in Rochester. Soon after, he auditioned for a feature film, got the part, and made his big screen debut in the independent film Sedona’s Rule. Almost immediately after this, he was cast in the NBC show Trauma that was filming in San Francisco, and became a recurring guest star. He admits that filming the tv series can be quite daunting. “We film in Knoxville, TN, which is where our production company is located,” Carl said. “We basically film every other week for about nine months out of the year. We film Monday through Friday, and sometimes Saturday for 10 hours each day. It takes the week to film one episode. Homicide Hunter is the highest rated show on the Investigation Discovery channel and it airs in 193 countries. Carl is now often recognized by fans of the show on the street, much to his surprise. “It actually happens on a daily basis now when I’m out, numerous times when I am in the airport,” he said. “I remember in the beginning how I was both flattered and a little embarrassed whenever someone would approach me. “The various reactions are what have stood out and amazed me. It’s run the gamut of ladies crying, shaking uncontrollably, non-stop talking excitedly to not even be able to talk at all. He says for the longest time it was difficult for him to believe someone was so excited to get a picture with me, when he had just been a jail deputy a few short years earlier. When people find out he was formerly a Sheriff, most people are surprised. “The people who aren’t surprised are other officers. I get a lot of fan mail from others in the law enforcement professions that say they could tell by the way I carried myself I was a real officer. He says is most annoying career move was a commercial that he made where his wife kicks him out of bed for snoring. 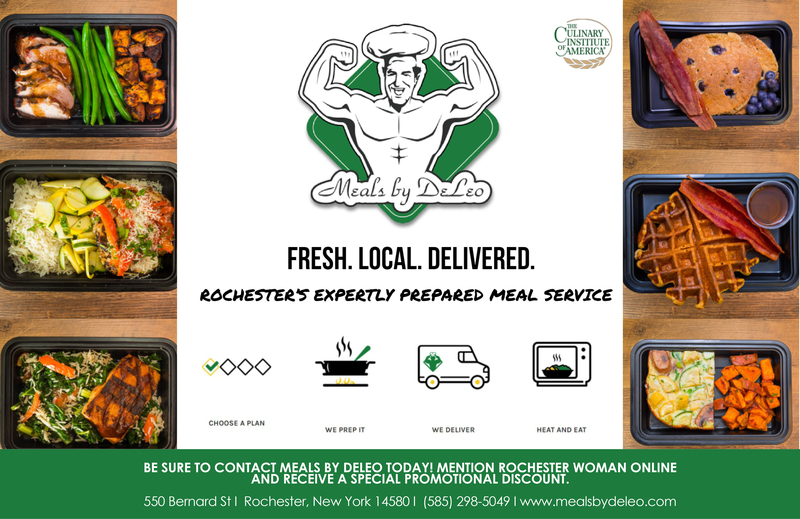 When he is not working, Carl tries to get back to Hornell and Rochester as often as possible, usually three to four times a year. He was in Hornell on St. Patricks Day, as he usually comes back for it. He was also in Rochester a few months ago for a friend’s retirement party. “I still have a lot of friends and family in New York and I enjoy coming back. My wife has also gained a appreciation for the upstate area and its beauty,” Carl said. 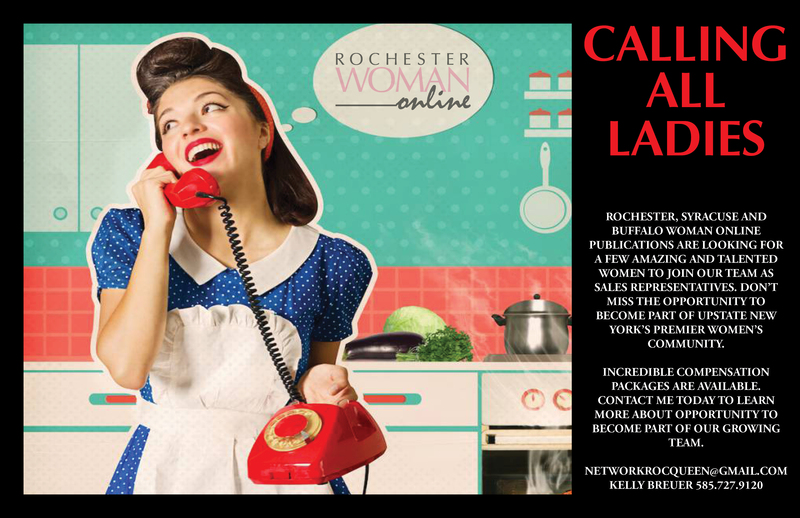 In fact, Carl maintains a 585 phone number due to his fondness for the area. 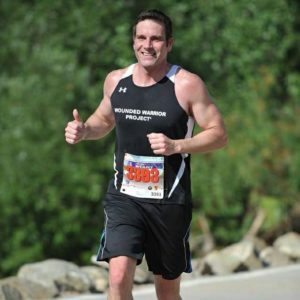 When he’s not acting, he and his wife run half and full marathons to raise money for charity. Just last year, they ran 31 half and full marathons in 17 states and 3 different countries. “Just in the past three years, we have raised over $100k. “We enjoy giving back,” Carl said. “Running these races together is a great way to raise money while spending time together, seeing new places and challenging ourselves. He also loves to play poker and is in a local poker league in San Francisco. Carl says he thinks he is the same person he was before fame, just maybe a little or a lot wiser. Great article. 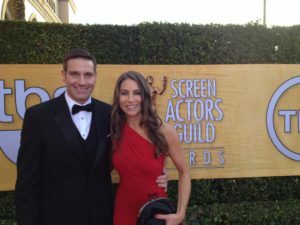 I love the show and admire Carl Marino for his portrayal of Jose Kenda and for all his charity work. I have admired Carl Marino’s performance on Homicide Hunter from the start of the episodes. He is a upstanding actor. He and his wife, allona are truly team players! I started watching Homicide Hunter from the beginning of the show.And watch it still faithfully. Carl is different than most actors as he really cares for his fan’s. His wife is as sweet and caring as he is. It is a dream to meet them both in person some day. Very well written article! Homicide Hunter is my favorite show. I come from a family of law enforcement officers. I have so much respect for Carl and Joe. My husband and I went on the Kenda Cruise last year. Best vacation we have ever had! My husband I so enjoy HH! We know many of the lines by heart as we watch just about every show – rerun or not! We would like to thank boy Carl and Joe for their service. Loved the article! Thank you again, for all that you both did for us! I really love the Show!! I was surprised that he was actually in Law Enforcement. But I should not have been because he carries himself like an officer. Was impressed he went to West Point.. And I have read other articles on how he gives back..He truly is a Hero!! Carl is the nicest speaking, modest guy, who loves life and what he doing! Great speaker and honest life!